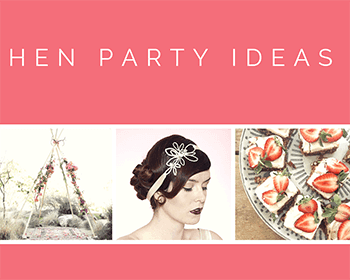 This week Janie shows you how to make a DIY Flower Crown. 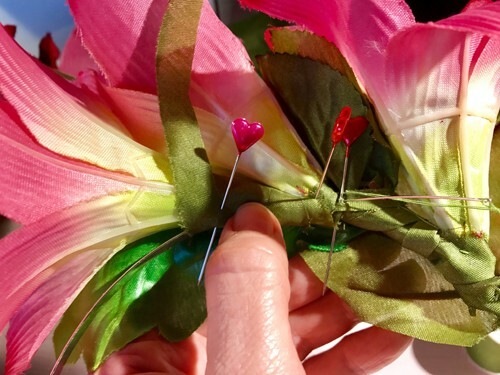 Inspired by Frida Kahlo this step-by-step tutorial will teach you to create a beautiful Flower Crown perfect for a festival hen party or festival bride. 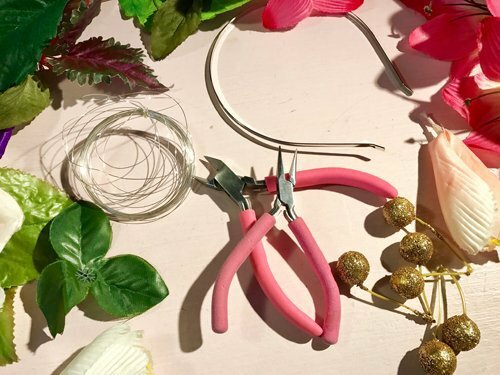 You will need, fabric flowers & leaves, thin wire (ideally 0.4mm) thin headband to wire on to, pliers, baubles, sharp scissors, needles, pins, leaf green thread. I found these flowers at John Lewis, once you start looking or them you will see them everywhere! 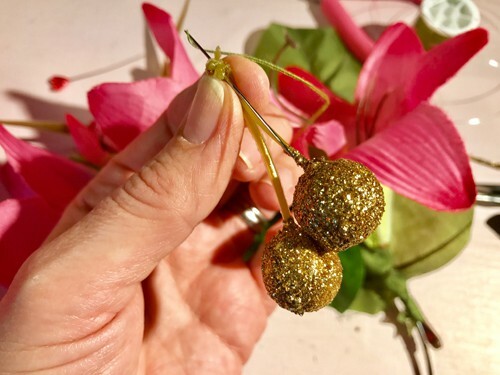 The gold baubles were on a Xmas twig arrangement which I bought and snipped them off. The wire and headbands can be found at Creative Beadcraft. Also look out for vintage brooches – this would look fabulous with a vintage brooch pinned front and centre. Cut your wire no longer than an arm’s length. Any longer and it will flip about all over the place. 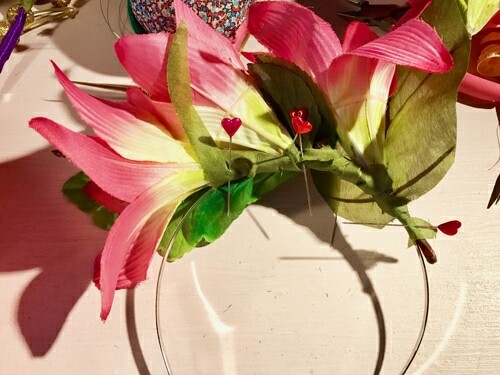 Start by wrapping the wire 3 times around the headband and then wrap around the base of the first flower. 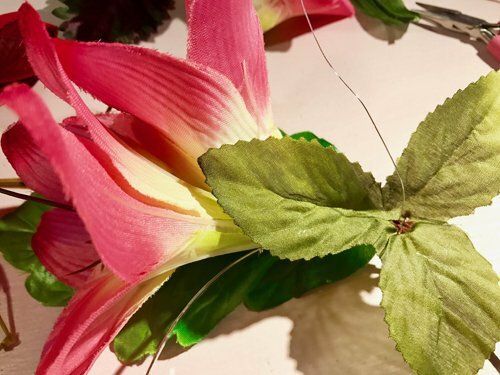 Each time you wire on a flower follow that step by wiring on a leaf. Frida Kahlo wore huge statement pieces and this will pack out the headdress and give it a full on Frida look! 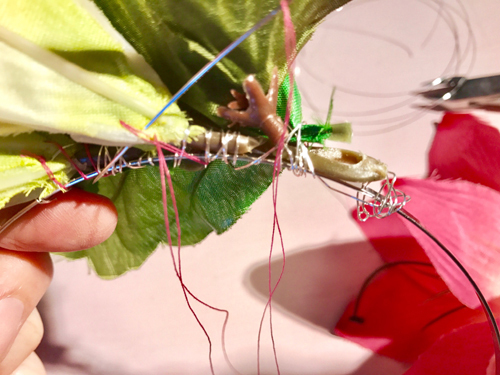 Once you have 3 flowers and leaves wired on to the band, thread your needle with a double thread and a knot at the end. 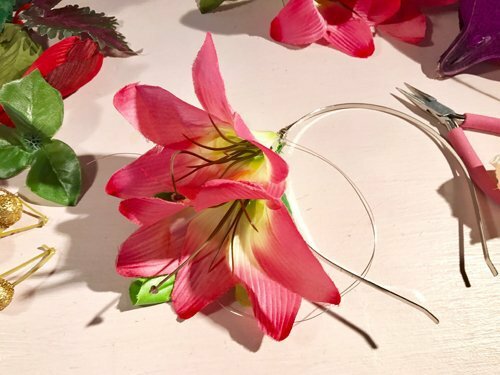 Go back to the first flower and stitch through the flowers and around the band to stop the flowers slipping and keep everything secure. 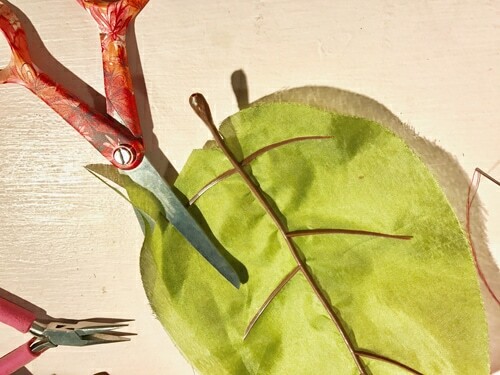 Using the biggest leaves you have trim the edges. These will be used to as cover up pieces for the next step. Trimming the leaves means you have a colour match but you could also use ribbons in a different colour if you want to make more of a statement. 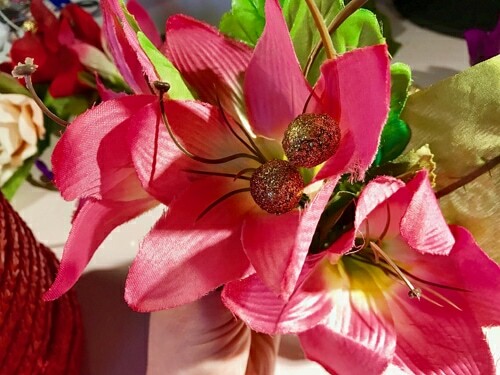 Using the pieces you’ve just trimmed from the leaves wind them around the headband and between the flowers and leaves. This works to cover up any wiring and stitches on your flowers. It gives a very professional look. 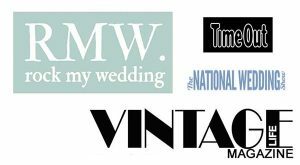 Similar to the finish vintage hats and headpieces have. Pin the ribbon in place. I like to use really big pins in millinery as they hold things in a stable fashion. I found these heart pins at Tiger. 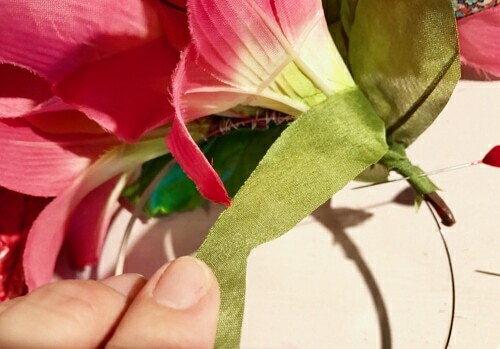 Using your leaf green thread to stitch carefully and with small stitches through the ribbon. Finish off with a double stitch. (Always use a double thread with a knot at the end for millinery). Stitch through the stem of your baubles – these ones had a loop at the end where they had been attached to the branches. If yours don’t have a loop you can wrap a small amount of sticky tape at the bottom of the stem and stitch through and around that. 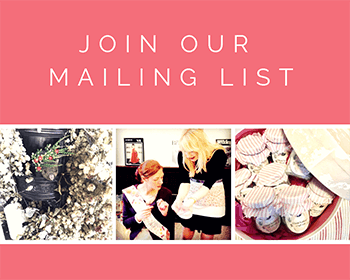 Stitch the bauble into the centre base of the flower. 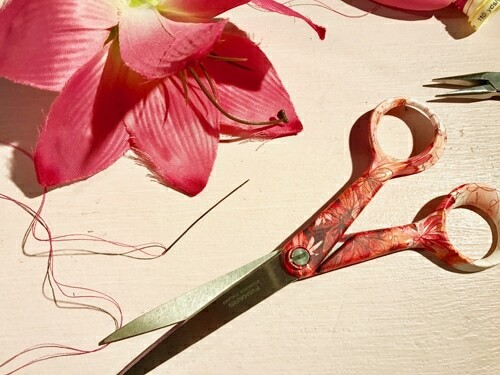 Stitch all the way through the centre of the flower and secure with a double stitch on the outside base of the flower. This will be covered up with the leaves. Take another look at the overall effect. 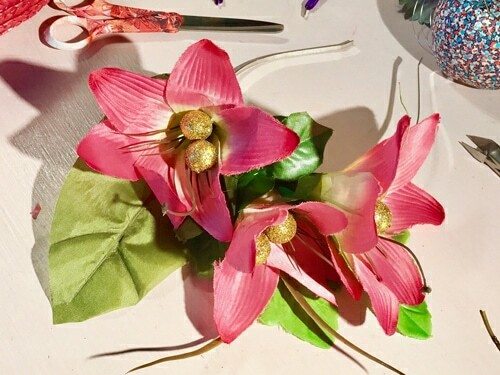 Do you need more flowers…are all the stitches covered up…does the balance look right when you try it on?! You can keep this piece simple or add more and really go to town with it. 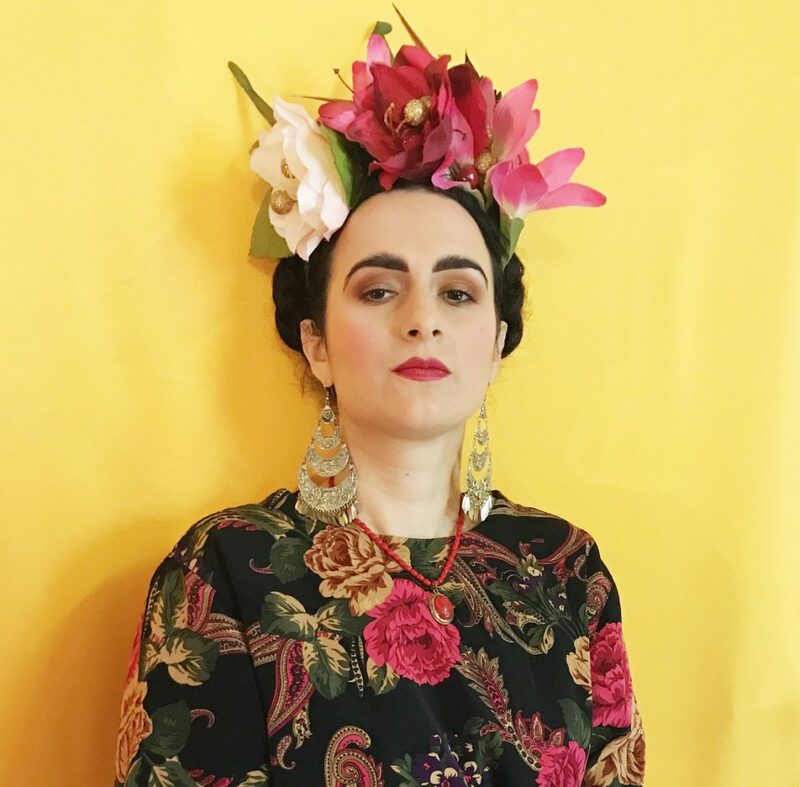 If you’re channelling Frida Kahlo you can do whatever you want and no one will dare say a thing!!! 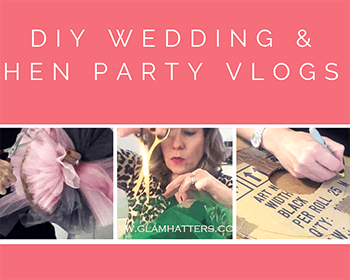 For more tutorials subscribe to my brand new You Tube channel. 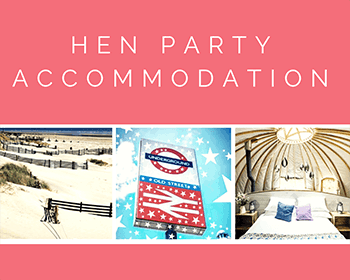 You’ll get all the videos as they come out plus fabulous competitions. 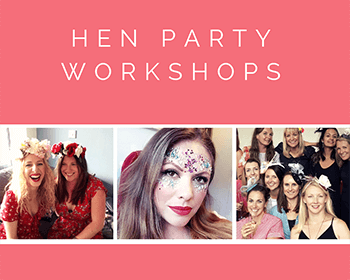 If you prefer to learn step-by-step with The Glam Hatter Girls check out our flower crown workshops.